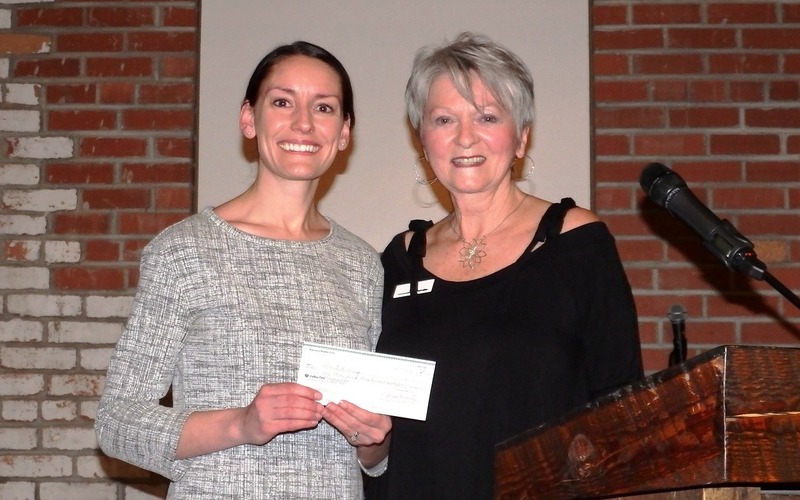 Shown above: Reanne Amadio, Community Investment Manager accepts the cheque from Kelowna Palette Club President, Eva Eshpeter at the Simply Art Show and Gala Friday, March 16. March 19, 2018 – The Kelowna Palette Club held their annual Simply Art Show and Gala on the weekend donating all the raffle proceeds to United Way. This year, the raffle garnered $1375 which goes towards the United Way 2018 Community Campaign. Over the last few years, the club has donated over $5400! Another great example of local love!! Thanks to the Kelowna Palette Club Executive Committee and Simply Art Show event coordinators for your annual support!